For our third year in a row GG and I were lucky enough to secure tickets to the highly anticipated and always fabulous Long Lunch at Sittella Winery. They always sell out fast (only took 2 weeks this year we understand) and then we wait….. wait, wait, wait for the first weekend in July to roll around. And then finally it arrives! Oh happy day – had my new frock at the ready, was well behaved at my work’s End of Financial year function the night before and with GG by my side I knew we would have an amazing time, reliving the magic of our previous two visits. For the first time in our attendance the weather was a little wintery and when we arrived there were a few light showers. Wasn’t a bother though, as people gathered around under the veradahs and looked over the green hills around the Valley, it was perfectly picturesque. Sittella is a very pretty winery. So the first order of business at this lunch is to partake in a glass of the delectable Sittella Sparkling Chenin. Definitely an ‘any time is fine’ drink, given that at 11am it tasted sublime. 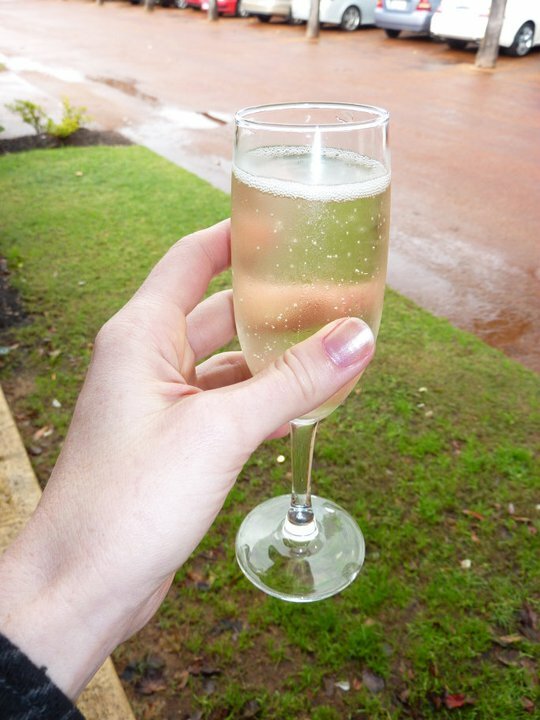 So we spent the first hour or so out the front enjoying the sparkling and during that time we were got to chatting with a lovely couple who were there representing Bellaridge Wines. 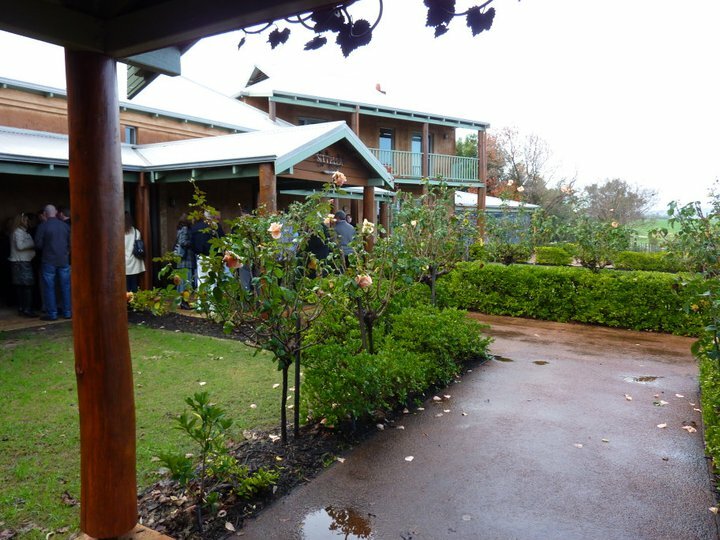 We were also lucky enough to make the acquaintance of wine makers from both Sittella and also John Kosovich. 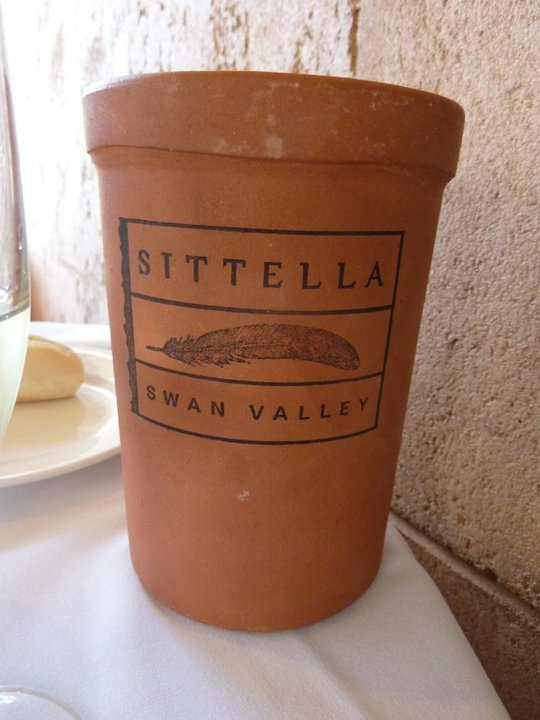 The owners of Sittella also wandered over, so it felt more than a little la-di-dah to get to speak to the team who had made the lunch happen. The rain cleared up as we went to find out seat for lunch. Table 13 on this visit and opposite some friendly folk we had met the year before. Definitely the case that if you go to this lunch once you’ll come back again and again. And just look at the view and you’ll be able to understand why. As we sat down at the table it was definitely exciting to see how much cultery we’d been given. Suggested that a whole lot of deliciousness lay ahead. 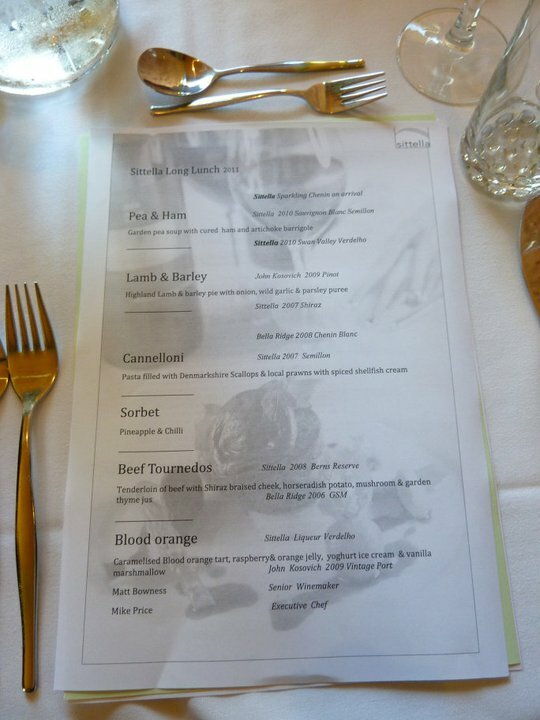 And this was confirmed as we perused the menu – it all sounded tremendous! 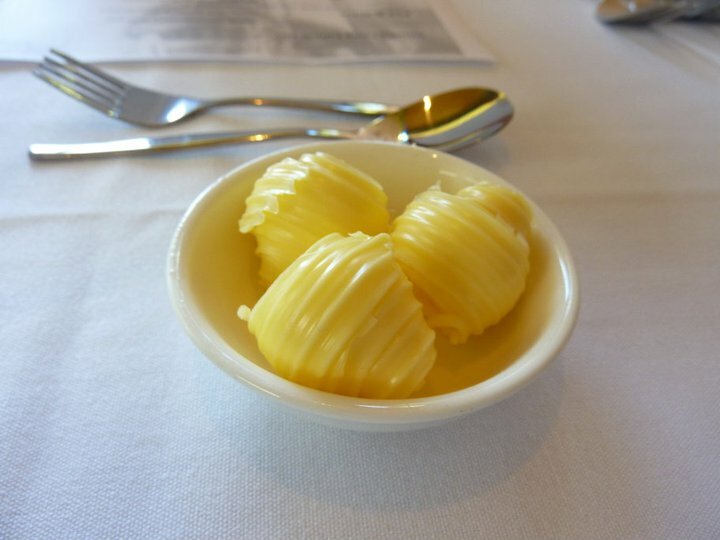 Attention to detail at Sittella is definitely apparent from the perfectly set tables to the idenitical butter curls. It’s all those little things that just add to the magic of this lunching experience. Plus service there is always excellent. 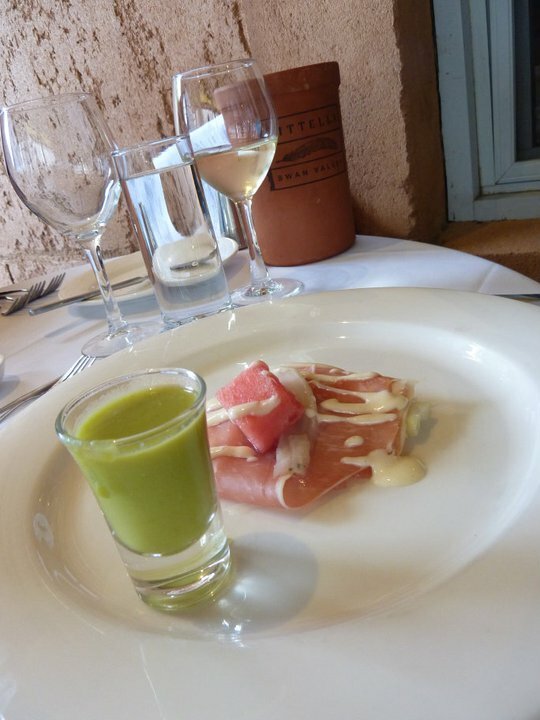 So after we had enjoyed our bread roll our entree soon arrived and it looked very impressive – Garden pea soup with cured ham and artichoke barrigole. Hats off to the kitchen for their beautiful presentation of this dish. Both GG and I had thought… hmmm… pea and ham… not our favourite, but it was so creatively presented there was no way we weren’t going to love it. 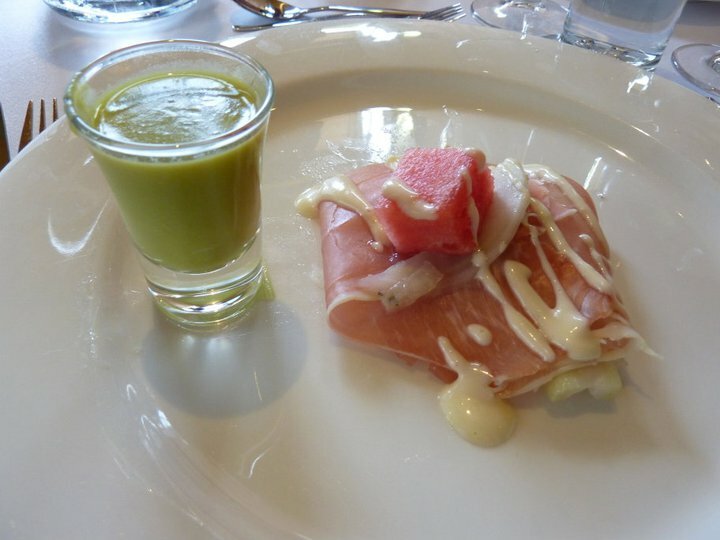 The shot glass of pea soup was deliciously rich, with a hint of sweetness and full of fresh pea flavour, then the cured ham added a salty compliment to the meal. Finally the artichoke that was hiding under the ham was texturally just a fantastic addition. It totally raised the bar for the courses to come, given that the first cab off the rank was this amazing. 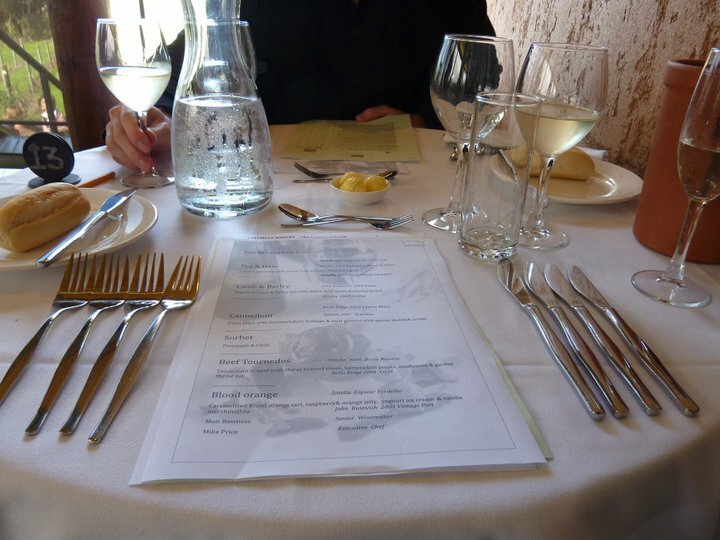 The two white wines that came with this course were also perfectly selected – crisp, clean flavours – loved them both. Next up we switched across to our first round of red wines and they both lovely. The Kosovich Pinot had a more soft flavour but it was a welcome introduction to the reds. 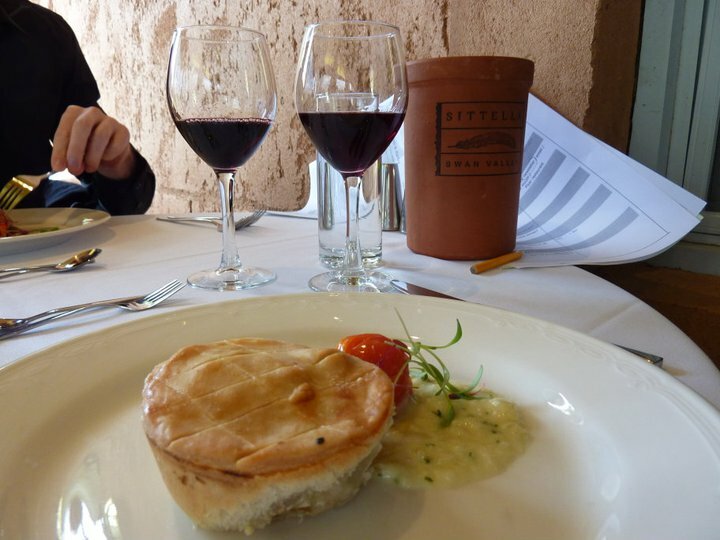 The Sitella Shiraz that followed was more fuller bodied and both worked a treat with the second course of Highland Lamb and barley pie with onion, wild garlic and parsley puree. 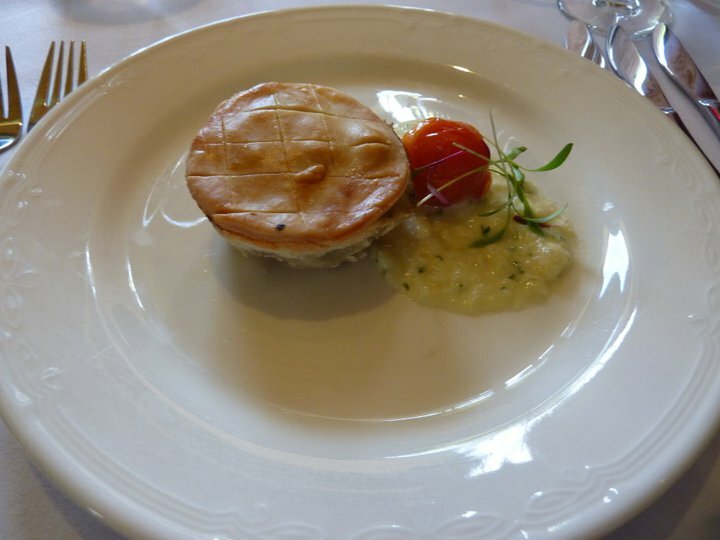 The pastry was crispy and perfect and the filling was a tasty combination of chunky lamb and vegetables – with the addition of a little of the garlic and parsley puree it made for a fabulous mouthful. 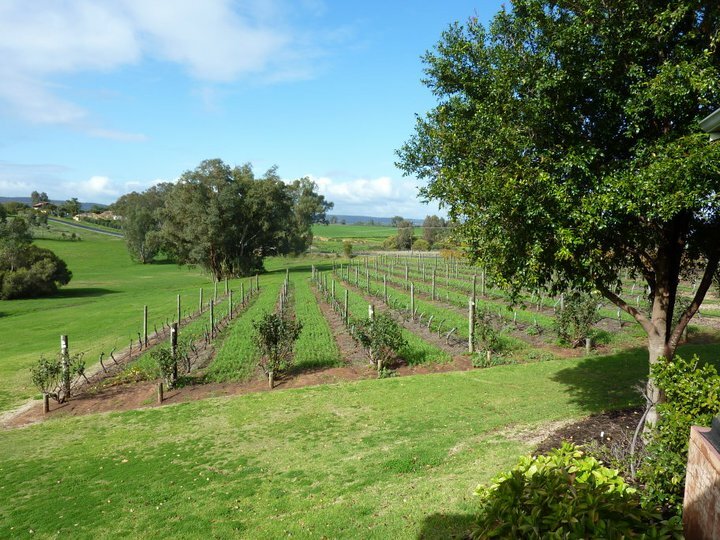 It was then time to switch back to the white wines for our first taste of Bellaridge Winery’s fare – their Chenin. Really enjoyed it. Wasn’t too sweet but was full of flavour. 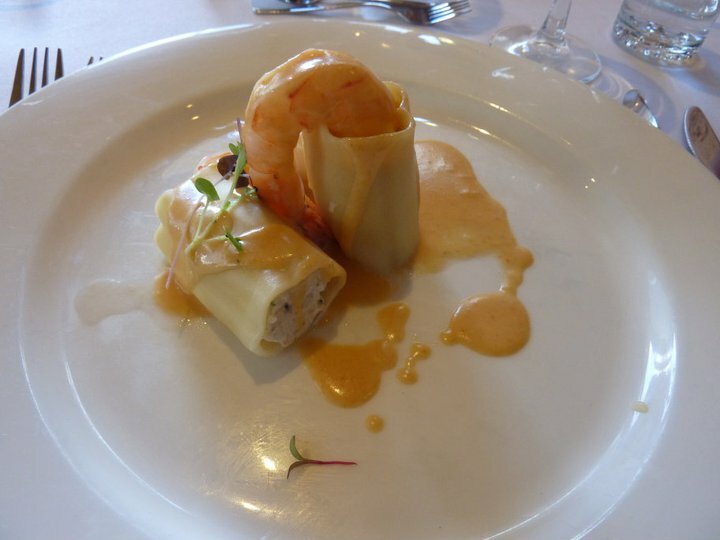 Also joining this course was the Sitella Semillion – grassy and fresh it worked well with the seafood course of Pasta filled with Denmarkshire Scallops and local prawns with spiced shellfish cream. 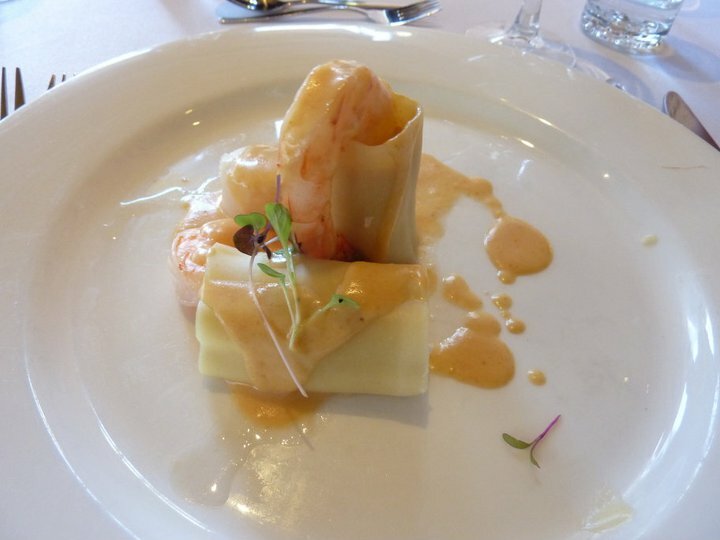 Homemade pasta is always a treat, as is perfectly cooked seafood, another great course. 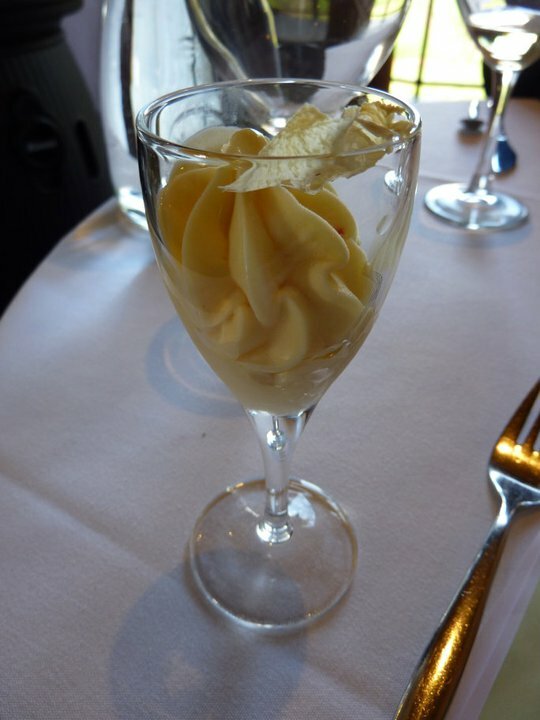 Now the best thing to do after three straight courses is to refresh the palette with a dainty glass of Pineapple and Chilli Sorbet. What a flavour combination – just loved it to bits. Something refreshing and something different – really enjoyed this. At this time we changed seats, well ok we didn’t change seats but we moved the seats we were on. 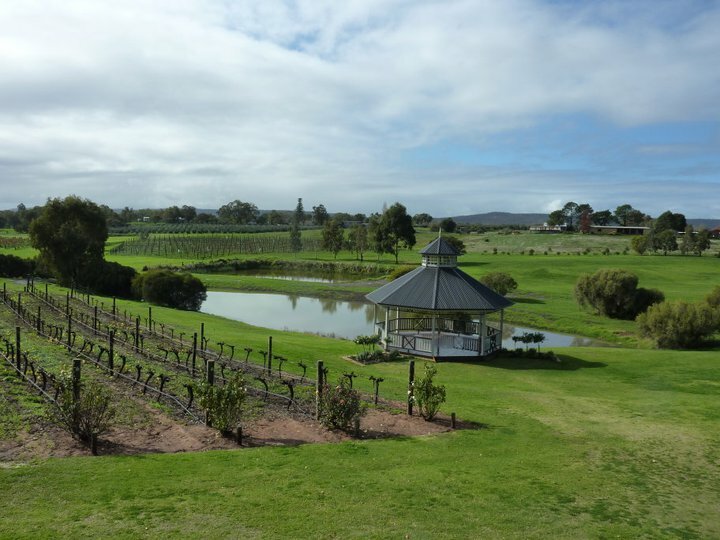 We were lucky enough to be asked whether we would like to join the lovely couple we’d met from Bellaridge Wines who were sat inside with the team from Sitella and also the winemaker from John Kosovich. It was such an incredible experience. Simon and Maiike are such lovely people and having the chance to talk to them about their winery was really incredible. Also having three winemakers on hand meant that we could ask any question we’d ever had about wine and their was abundance of knowledge available – spoiled much? Yes we are! 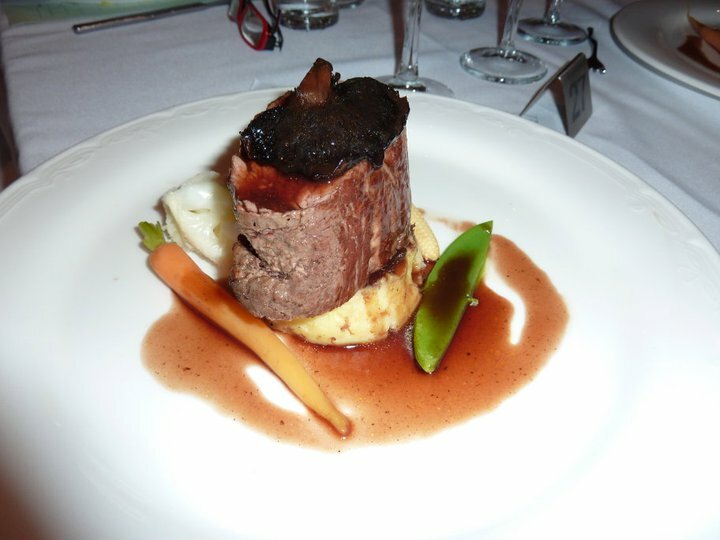 So our first course in our prestigious new location was the Beef Tournedos – Tenderloin of beef with Shiraz braised cheek, horseradish potato, mushroom and garden thyme jus. Such a generous serving of beef, which literally melted in your mouth. The vegies still had a bit of crunch and the horseradish potato was creamy and tasty. And given we were back on the red meat, we were back on the red wines. Another choice drop from Bellaridge Winery, the GSM. First time I’d tried a GSM and really enjoyed it. The other red was the Sittella Berns Reserve – rich and intense – we were a spoiled bunch to get to try this one. So with the savoury box ticked it was time to sample something sweet. 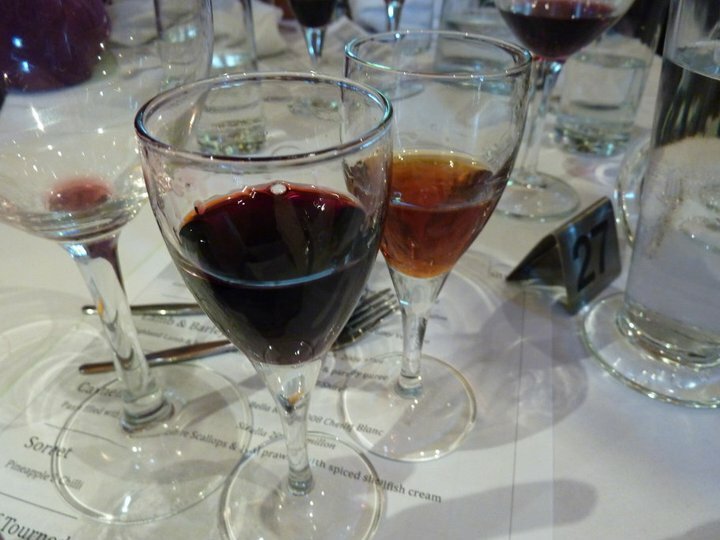 And the perfect vintages to enjoy with dessert was the John Kosovich Vintage Port and the Sittella Liquor Verdhelo. I heart them both. They both left you with a fantastic warm feeling and there was an indulgent richness to each of them. The sweetness lingered…. how dreamy! 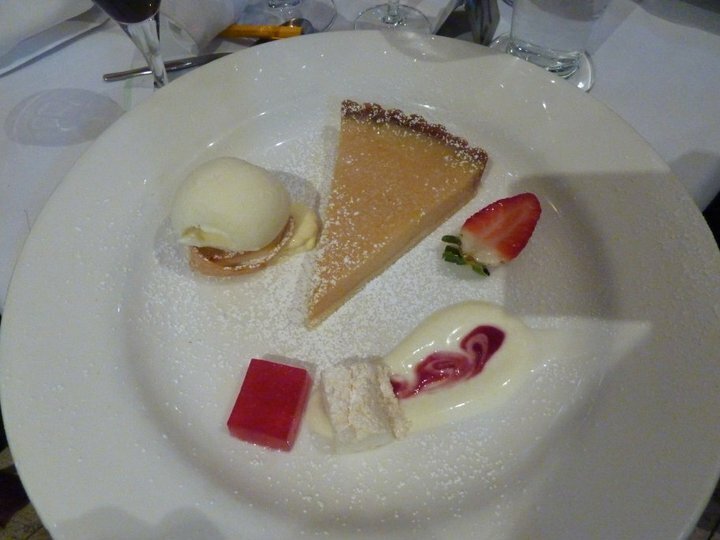 And dessert was another creative wonder – Blood Orange – Carmelised Blood Orange Tart, raspberry and orange jelly, yoghurt icecream and vanilla marshmallow. Just a taste sensation, each bite unleashing a new burst of flavour. It was some kind of wonderful and a perfect end to our indulgent day of wining and dining. And now we wait… til we can do it all again next year!